HHP Announces the Winner of the HHP Prize Pack! 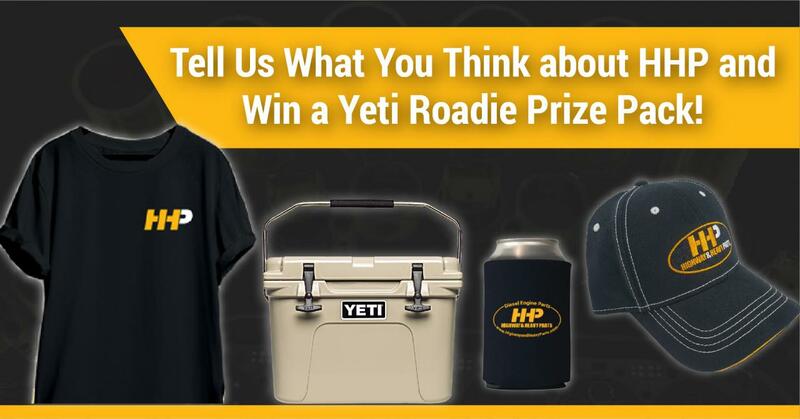 Congratulations to Scott Cross for winning the Yeti Roadie with HHP Swag! We'd like to give a HUGE thank you to everyone who entered! We appreciate your support and feedback, and look forward to hosting more giveaways in the future! Until then, feel free to call us at (844) 215-3406 for all of your diesel engine needs!